May 12: 5 POWER Lessons From 5 Leaders Who Made History On This DAY! Life in itself is a venture. All the hardships and surprises are a part of it. You got to all alone dive through this venture to win it. Here is a package of constructive supports that helps you sustain and survive throughout! Competition, in a way helps the best one to win. It moderates the situation by lending the victory to the most deserving. Winner is appreciated and rewarded only because a looser exists. The essence and the feel of success is felt and valued only when you know the taste of a failure. Therefore, oppositions, criticism, comments and hindrances either help in making you feel better by triggering you desire to achieve or provoke you positively by giving you energy to fight against the wrongs. The flow-speed of a river stream is not controlled but moderated by the natural resistance. Similarly, challenges and pullbacks do not negate your life but boost it up. 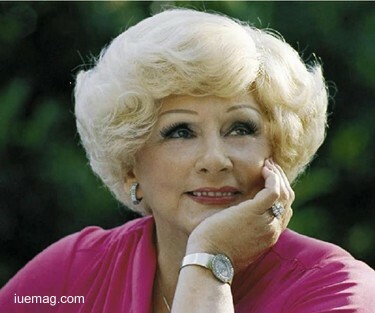 Mary Kay Ash answered the criticism faced by women by not fighting through words, but through growth, progress and achievements. The most diligent American businesswoman founded Mary Kay Cosmetics, which served as the most positively vibrating company. The woman’s venture induced a great ray of hope to erase all the barriers which had some or the other negative impact of the life of women. This inspiring, strong lady supported woman by giving them employment opportunities by setting up an independent sales force. The incomplete respect given to woman triggered this true change-maker. This became a reason for immense growth and progress to form in the life of every woman of the era. The book that she wrote after her retirement, served as an ideal business plan for her company. Only you know your potential, capabilities and desires. You are the first one who is supposed to believe in yourself. How can you expect the world to trust your ideas when you don’t? Your positive vibe must reach others and make them respect your potent ideologies. We all dream to attain success. We aspire to win. But remember, for all this to happen, you must first believe that it will. Faith is the backbone that forms the prime of every achieving soul. Trusted effort never fails. This appends success into your life. The faith in yourself forms a psychological bond with your effortful attempts. Achievers continue to win because they ensure that this bond is strong enough to support their victory. 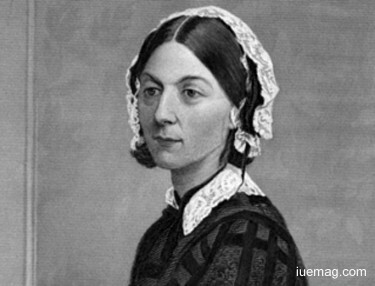 Believing in her own self, Florence Nightingale went on to transform the society and light it up with candles of righteousness. The English social reformer and statistician founded the modern nursing. Revolutionizing the branch of hospitality, she followed the custom of nurturing the wounded to facilitate healing to happen. Initially, she treated the wounded soldiers and further widened her prospect to widen the reputation of nursing. She established her nursing school at St Thomas' Hospital in London which was the first secular nursing school in the world. Called the Lady with the Lamp, she offered her persona as a platform for the world to rest. How did this all happen? It’s only because she trusted her abilities. Success is always hard earned. Achievers are considered divine because attaining success is not at all easy. A fault in the most deserving candidate stops success from reaching that person. One small drop of ink on an absolutely plain, white clean shirt makes it fall under the category of dirty clothes. Even if the rest of the shirt is clean, one black dot ruined the status, dreams and position of the shirt as a whole. You got to be very careful. One flaw can end your career; a single ignorance can end you growth and procrastination just once, may stop your progress. Ensuring and checking things would put your life onto the right track and enables you to win at all costs. The bottom line is that we are all human with no super powers. Our only source of motivation is ourselves; our dreams and hunger to achieve them keep us journeying to hold the peak of success. 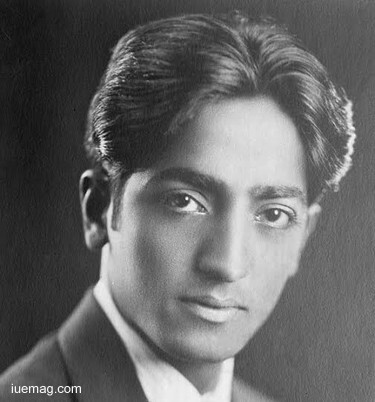 Jiddu Krishnamurti was tireless when it came to building his self, his career and his life. Mistakes only made him get better at what he did. The philosopher, speaker and writer knew what he had to do to hold himself high up for the world to look up to. Psychological revolutionary groomed the world to destine truths and facts and lit the minds of every life. He grew tall and spread his roots to become a spiritual teacher and a great orator. We got to pass through and battle against the thorns to reach the highlight of the flower. Life is also the same! As said, gates of the heavenly comforts, joy and happiness are wide open for those who’ve accepted challenges, faced problems and been through dark and long struggles. Pain acts as an entrance test to secure a place in the world of success. Strengthening the hope of achieving, you have to work hard and show that you deserve to become successful. Indra Devi knocked the doors of success by going through and winning every stage that led her to succeed. The Russian yoga teacher was called The First Lady of Yoga. Caste, soil, nation and race, nothing formed a barrier for her to win and radiate the winning secret to the entire world. 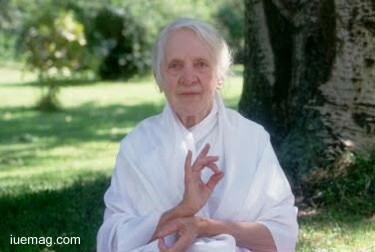 She was the first Western woman ever at an Indian ashram and learnt yoga and Pranayama. Her perseverance rewarded her with an opportunity to teach at the ashram. She was influential in the matters of the global diffusion of yoga. Early disciple of Sri Tirumalai Krishnamacharya began her attachment with Indian culture when she was 15, by reading a book by poet-philosopher Rabindranath Tagore. Nature itself offers you opportunities and learning platforms when it recognizes the able integrity dwelling in you to take them up, work on them and achieve success. We all dream to reach top positions in all that we do but, not all such dreamers get a chance to reach the top. Our proficiency, perseverance and intense aspiration must always line up the path that we follow to celebrate victories. You may feel you have all the potential to handle greater responsibilities and achieve tough targets but guess what? The fate of your life- both professionally and personally, is directed by virtue. The rule of the nature is that the deserving would get the best opportunities which make way for something better and big to happen. 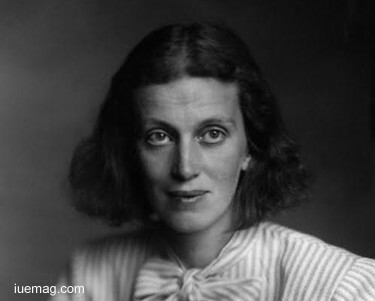 Dorothy Hodgkin waited for feasible opportunities to optimize her career. The British chemist developed protein crystallography. Winning the Nobel Prize in Chemistry, she never stopped her struggle to achieve. She advanced the technique of X-ray crystallography and left most influential discoveries for the world to cherish. The path to own success wasn’t an easy one! Being a woman in itself tried to de catalyze her journey towards success. But the strong lady retaliated to ensure that nothing retarded her winning process. The pioneer scientist ruled the floor of X-ray crystallography and became the third woman to win the Nobel Prize. Buying a BMW is can be one of your dreams. Owning a luxurious villa might be another. But not all of us manage to earn them due to the high cost that needs to be paid. Success is nothing different! Trusting yourself, respecting your dreams and courageously battling against the oppositions, is the cost that helps you earn success. It’s time to put your aspirations on and show up your talent. Any facts, figures or references stated here are made by the author & don't reflect the endorsement of iU at all times unless otherwise drafted by official staff at iU. This article was first published here on 12th May 2017.